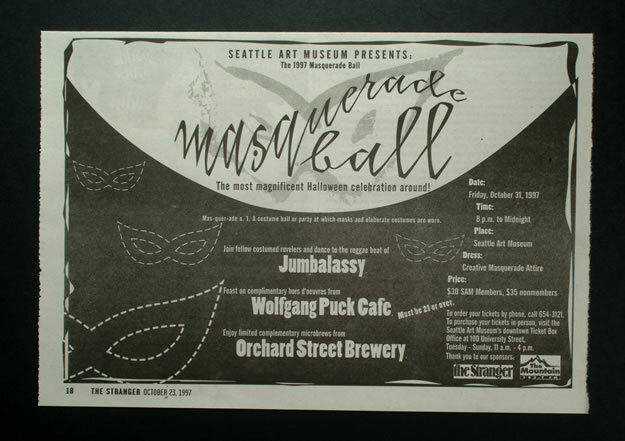 Seattle Art Museum hired Train of Thought to design the logo, brochure and ad campaign for their first Masquerade Ball. Within a tight budget, we created a distinctive hand-painting logo, and used special stock on the direct mail piece to make it stand out even more. 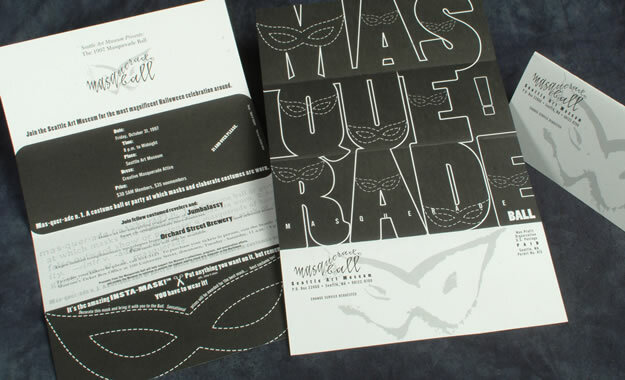 The invitation provided guests with a cut-out template for making their own masks. The event was a huge hit, far exceeding SAM’s projected attendance goal.